Hello, and welcome! 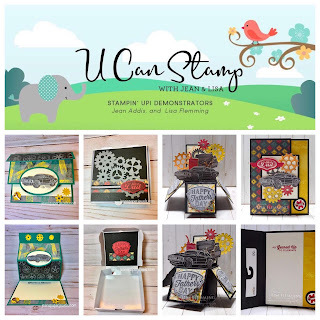 My good friend Lisa Flemming, and I joined together to bring you an Online Class called U Can Stamp! This is our second session, and we would love to help you stamp your stash! Together, we have created four awesome projects that feature products from the Classic Garage Suite . Accordingly, two of the projects are Easy Fun Fold Cards, and the other two are coordinating 3D items. Registration Closes on March 20, 2019, and the first five people to join will get a FREE Gift from Us! 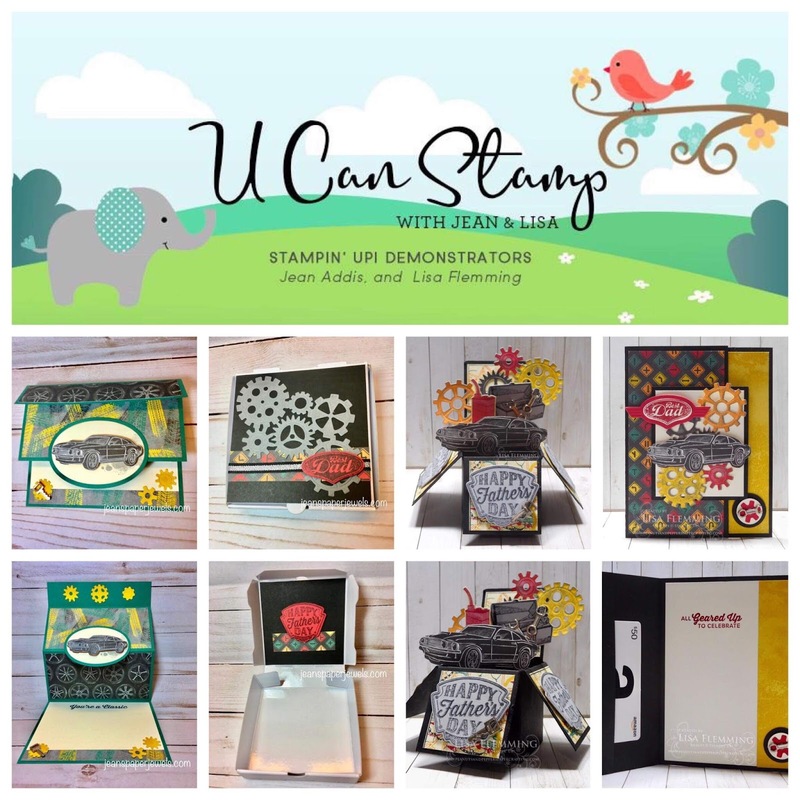 Don’t forget that you have the opportunity to earn great Stampin' Up! products for Free with any $50.00 order before shipping and tax during Sale A Bration! • After your payment has been processed, you will be added to the Closed Facebook Page for this class. Here we will post detailed pictures of each project, measurements, instructions, and answer any questions you may have. You will have unlimited access to this page.